xiangzhai awarded D38190: Partial Inlining with multi-region outlining based on PGO information a Like token. gyiu committed rL338896: [Partial Inlining] Fix small bug in detecting if we did something. gyiu committed rL338895: Fix asm label testcase flaw. gyiu committed rC338895: Fix asm label testcase flaw. gyiu committed rL319399: - Removed unused lamba (IsReturnBlock) causing build bots to fail for r319398. gyiu committed rL319398: With PGO information, we can do more aggressive outlining of cold regions in…. gyiu closed D38190: Partial Inlining with multi-region outlining based on PGO information by committing rL319398: With PGO information, we can do more aggressive outlining of cold regions in…. gyiu updated the summary of D40477: Enable Partial Inlining by default. gyiu added a comment to D40477: Enable Partial Inlining by default. This definitely needs numbers - across multiple platforms. Both performance and size of resultant binaries. @nemanjai Good eye, but actually there's already an option disable partial inlining somewhere else (options to enable and disable are in different files, go figure). Defined in 'lib/Transforms/IPO/PartialInlining.cpp', called '-disable-partial-inlining'. gyiu created D40477: Enable Partial Inlining by default. gyiu updated the diff for D38190: Partial Inlining with multi-region outlining based on PGO information. Removed unnecessary traces and moved useful ones to 'ifndef NDEBUG' macro. Modified/added ORE messages according to suggestions. gyiu committed rL317613: Use new vector insert half-word and byte instructions when we see insertelement…. gyiu closed D34630: [Power9] Add additional patterns to recognize and transform insertelt/extractelt to vinsert[h|b]/vextractu[h|b] instructions. by committing rL317613: Use new vector insert half-word and byte instructions when we see insertelement…. Remove the requirement for a conditional branch as the terminator of the entry block, for multi-region outlining specifically. gyiu committed rL317508: Fix buildbot breakages from r317503. Add parentheses to assignment when using…. gyiu committed rL317503: Adds code to PPC ISEL lowering to recognize byte inserts from vector_shuffles…. gyiu closed D34497: [Power9] Exploit vinsertb instruction by committing rL317503: Adds code to PPC ISEL lowering to recognize byte inserts from vector_shuffles…. gyiu committed rL317111: Adds code to PPC ISEL lowering to recognize half-word inserts from…. gyiu closed D34160: [Power9] Exploit vinserth instruction by committing rL317111: Adds code to PPC ISEL lowering to recognize half-word inserts from…. Updated based on latest comments. Still missing testcase that I'm working on currently. Will update patch when ready. gyiu added inline comments to D38190: Partial Inlining with multi-region outlining based on PGO information. gyiu added inline comments to D34160: [Power9] Exploit vinserth instruction. 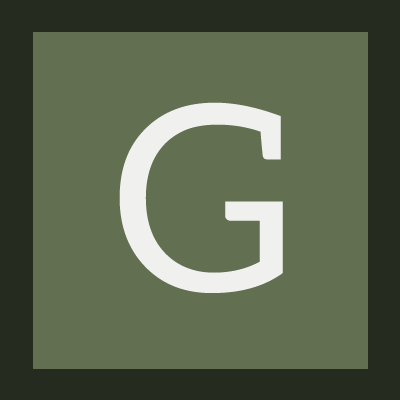 gyiu committed rL316174: The cost of splitting a large vector instruction is not being taken into…. gyiu closed D38961: [PowerPC] Increase the user cost of vector instructions by their legalization cost by committing rL316174: The cost of splitting a large vector instruction is not being taken into…. Updated code based on review comments. Also added check for candidate region outputs. If cold region has an output (ie. a live exit variable) then we could be blocking some code motion in the caller after it has been outlined. Also added code to mark outlined functions/callsites with coldCC. gyiu added a comment to D38563: [MachineBlockPlacement] Make sure PreferredLoopExit is cleared everytime new loop is processed. @trentxintong Hello, this change is actually causing the assert to trigger in 15 SPEC2006 benchmarks on PPC64LE with '-O3 -mcpu=pwr8 -m64 -fprofile-use -flto=thin'. Failures are during the link step. gyiu added a comment to rL314937: [MachineBlockPlacement] Make sure PreferredLoopExit is cleared everytime new…. gyiu updated the diff for D38517: Enabling new pass manager in LTO (and thinLTO) link step via -fexperimental-new-pass-manager option. Add new testcase to make sure plugin-opt is passed to gold linker to enable new pass manager. gyiu removed a reviewer for D38517: Enabling new pass manager in LTO (and thinLTO) link step via -fexperimental-new-pass-manager option: • jpaquette. gyiu created D38517: Enabling new pass manager in LTO (and thinLTO) link step via -fexperimental-new-pass-manager option. gyiu created D38190: Partial Inlining with multi-region outlining based on PGO information. gyiu updated the diff for D34630: [Power9] Add additional patterns to recognize and transform insertelt/extractelt to vinsert[h|b]/vextractu[h|b] instructions.. Removed extract element patterns as changes from 'https://reviews.llvm.org/D34032' generate better code in terms of total cycles. Also it catches more cases than the vextractu[hb] instructions, as it's only beneficial when operating on dword of the vector register. gyiu updated the diff for D34160: [Power9] Exploit vinserth instruction. gyiu added a comment to D34160: [Power9] Exploit vinserth instruction. Note that I was able to re-implement Nemanja's suggestion of generalizing the case when both inputs are the same vector because the registers used in code-gen are now consistent. Not sure if it was a real problem that I saw previously, or a transient issue that was fixed with newer levels of LLVM. Refactored NFCs to another patch to be committed. Made changes to remove restriction on only recognizing shuffles of halfword element 3 (4 in LE mode) when both input vectors are the same vector. That is, we can now recognize all single element shuffles in this situation. gyiu added a comment to D34630: [Power9] Add additional patterns to recognize and transform insertelt/extractelt to vinsert[h|b]/vextractu[h|b] instructions..
@nemanjai @kbarton I believe the code sequences that 'https://reviews.llvm.org/D34032' generate have equal or less than the number of cycles these 'vextractu[h|b] + mfvsrd' sequences. Also, they are more general and can handle more cases. Therefore I don't think the extract portion of this patch is useful anymore. However, the insertelement patterns are still good to have IMO. gyiu added inline comments to D32249: [PartialInl] Enhance partial inliner to handle more complex conditions. gyiu created D34630: [Power9] Add additional patterns to recognize and transform insertelt/extractelt to vinsert[h|b]/vextractu[h|b] instructions..
Added breaks to stop searching for the pattern once I've found a candidate. I'll open a separate item to address Nemenja's comments as I will not get a chance to do another enchancement. Addressed comments about my comments (grammar, periods, etc). gyiu created D34497: [Power9] Exploit vinsertb instruction. Added -O0 to LIT tests to test corner case of undef 2nd operand of vector shuffle. Refactored VINSERTH code to avoid boolean parameters and return value. Merged loops for 2nd operand undefined case and both operands defined. Fixed issue when one operand of the shufflevector is 'undef', in which case the PPCISDs we generate will use only the defined one. gyiu added inline comments to D34245: [PowerPC] Refine the checking for emiting TOC restore nops and Tail-Call eligibility.. This patch (potentially) increase the number of vector instructions (permutation -> shift + insert). Is my understanding correct? gyiu created D34160: [Power9] Exploit vinserth instruction.